Sandy is an expert in public policy and co-leads Nous' human services sector work. She has senior executive experience in policy, strategic planning and service delivery in human services, health and education. She particularly has extensive consulting experience in developing approaches to service delivery to vulnerable individuals, families and communities. Reviewed the strategy of a major Victorian aged care services provider in light of a changing regulatory environment and growing community need. 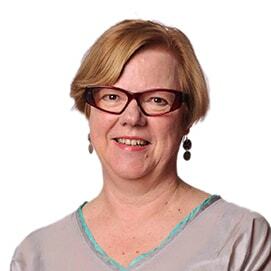 Sandy was previously director of policy and strategic projects at the Victorian Department of Human Services; where she led the development of the partnership with the community sector, the Forward Plan for Women’s Health, the Aboriginal Services Plan and the establishment of the Diversity Unit to drive improved services to women and multicultural communities. She also had leading roles in major policy reforms and in vocational education and e-learning. Sandy spent the first 15 years of her career in disability service delivery. Sandy holds Masters of Business Administration and Social Work and a Bachelor of Arts (Psychology and Politics), and is a fellow of the Institute of Public Administration Australia (Victoria). She is also a volunteer board member for the Children’s Protection Society and a director of the Melbourne Polytechnic. Sandy is enthusiastic about exercise, happiest cooking and sharing with an extended family, and enjoys spending time on the south-west Victorian coast looking at the surf and replanting local plants.